Damascus welcomes Russia’s call to hand control over its chemical weapons to the international community, the Syrian foreign minister said responding to Sergey Lavrov's statement after the two met in Moscow. 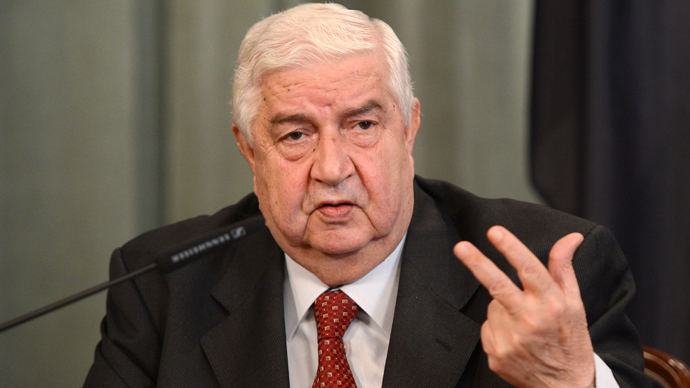 “The Syrian Arab Republic welcomes Russia’s initiative, based on the Syrian’s government care about the lives of our people and security of our country,” Syrian Foreign Minister Walid al-Muallem said in response to the statement by his Russian counterpart. “We are calling on the Syrian authorities not only agree on putting chemical weapons storage facilities under international control, but also for its further destruction and then joining the Organization for the Prohibition of Chemical Weapons,” Russia's Foreign Minister Sergey Lavrov said earlier. The UN chief has called for measures to provide for the safe storage and destruction of the Syrian chemical weapons arsenal. “I am sure that the international community will take quick measures to make sure that these chemical weapons reserves are stored in a safe place and are to be destroyed,” Ban Ki-moon said. 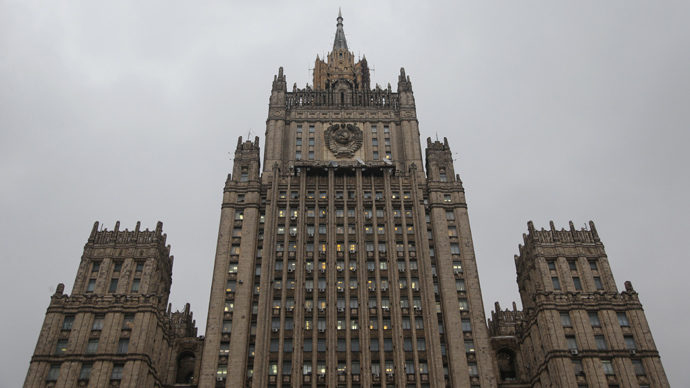 Britain has responded to the Russia-Syria dialogue, saying that the chemical weapons handover idea for Syria must not be used as a “distraction tactic”. "If Syria were to put its chemical weapons beyond use under international supervision clearly that would be a big step forward," Cameron told parliament. "We have to be careful though to make sure this is not a distraction tactic to discuss something else rather than the problem on the table." British PM David Cameron also stressed that the Syrian conflict can only be solved with “political methods”. Cameron said that the only way to put an end to the conflict in Syria is to work out a peaceful political decision, adding that through it Syria will come to stability and democracy. In response to the news, Syria's top rebel commander has accused President Bashar Assad's regime and Moscow of deceit. "We call for strikes and we warn the international community that this [Assad] regime tells lies, and the liar [Russian President Vladimir] Putin is its teacher. Putin is the biggest liar," Free Syrian Army chief Selim Idriss told Al Jazeera.